Walker Art Center in Minneapolis has hired a new chief curator: Darsie Alexander from the Baltimore Museum of Art. Starting Nov. 10, she will replace Philippe Vergne, who also served as the Walker's deputy director before he left in August to head the Dia Art Foundation in New York City. 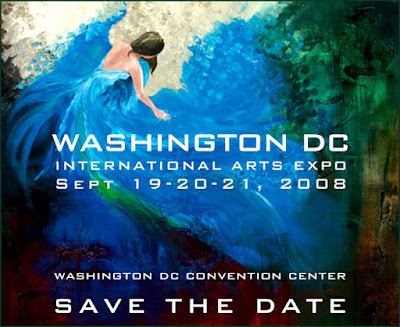 The Washington DC International Arts Expo is coming to the DC Convention Center next week, the hard work of artist Lisa Jones and The Collective. This will be the second year for the Expo and over 100 artists and galleries from around the country are expected. Meanwhile in London, the Frieze satellites are also thinning out. Pulse is not returning this year, and two fairs for young artists have been cancelled. Bridge (in the Trafalgar Hotel) and Year08 (whose third edition was due to be in London’s old Post Office sorting building) have abandoned their plans for this October. Now read an update on this subject from the Art Newspaper here.